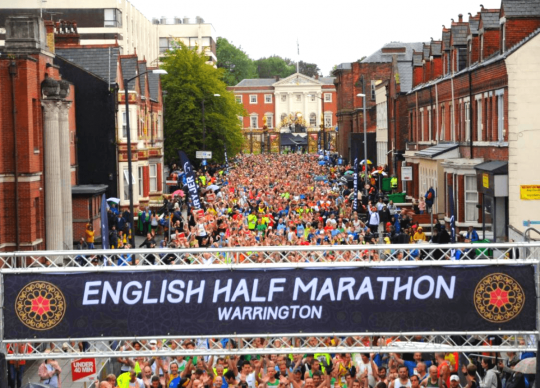 PAPYRUS is delighted to be a major charity partner for the 2019 English Half Marathon, taking place 13th to 15th September in Warrington, Cheshire. The English Half Marathon is in its’ 11th year and promises to be bigger and better than ever! There’s a race to suit everyone; from a family-friendly 1 mile to the full 13.1 mile half marathon! The 5km Night Race takes place in Warrington’s Victoria Park and has an electric atmosphere complete with flashing lights, effects and plenty of fluorescent clothing. Finish off your English Half Marathon with a run with the family! Why do you want to run for PAPYRUS?